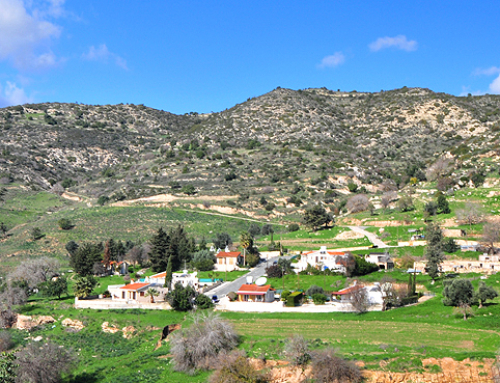 Tala Village is sited on the undulating terrain north west of Paphos some 8km away from the city. 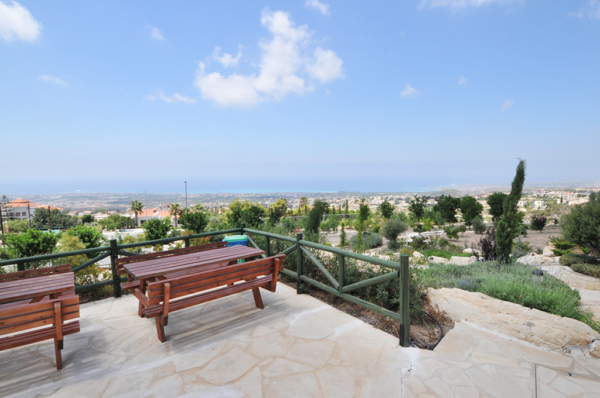 The gentle hills of Tala rise from 50m to 600m (average of 280m) and the whole of area commands spell binding panoramic views to the Mediterranean and enjoys ever changing kaleidoscopic vista over the rolling hills as they fall away towards the sea, some 4km away. 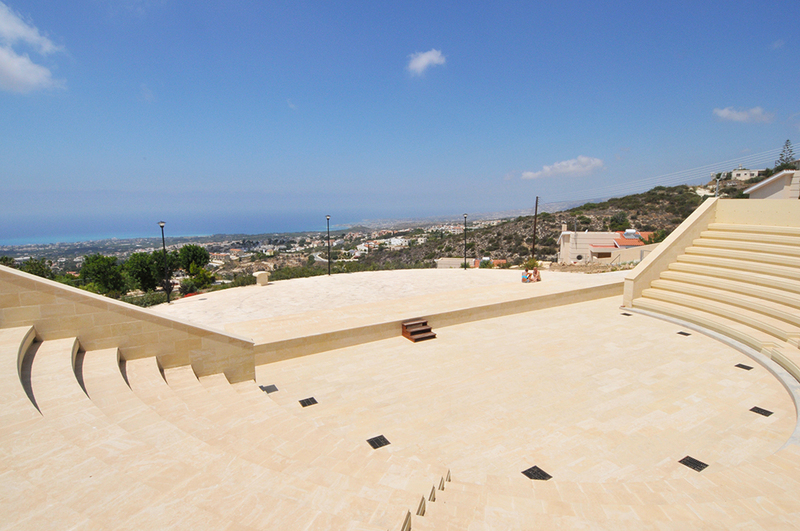 The village is very important to Paphos as it is placed in the area of the underground water stratum of Pafos. Quite a few drills have been dug in its region, contributing to the irrigation of considerable tracts of land. Tala receives an average annual rainfall of about 520mm allowing it to grow wine-making and table grapes, citrus fruits (orange, lemon trees), locust, olive, almond, and walnut trees, cereals, forage plants, vegetables, and a banana trees. In the census of 2001 inhabitants of Tala, including Kamares, totalled only 2540 permanent residents. Tala hills offer fabulous climate, close proximity to the city, and brilliant scenery and are a magnet for those wanting superior homes and Mediterranean lifestyle. The hills are dotted with many a luxury private villas and lovingly tended private holiday estates. South of the village there are indications of an archaeological area from the prehistoric times but the recorded mention of the village itself dates back to mediaeval times. The village name is considered to originate from the Frankish era from the surname of a large and wealthy D’Avila family. This family is mentioned as “Tavila” by the Cypriot mediaeval chronographers and it is believed that the surname Tavila gave the village its present name. There is no direct evidence the village belonged to the D’Avila family, however it is probable that members of the family owned it. 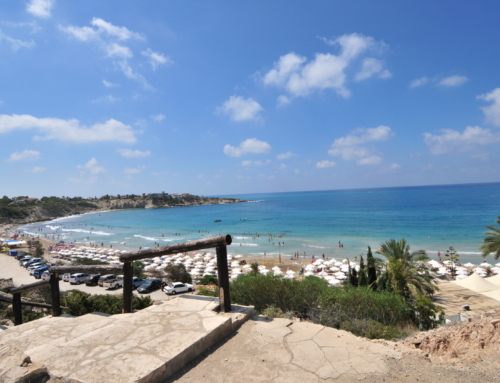 According to the mediaeval chronographer, De Masse Latri, he writes that D’Avila were one of the richest noblemen in Cyprus, and may have been ’owned’ by such as Francesco D’Avila, or Peter D’Avila who – in 1473 – became Lord Chamberlain of Cyprus and ‘took’ land in the district of Paphos, or even Anthony D’Avila who served as Governor of Paphos. 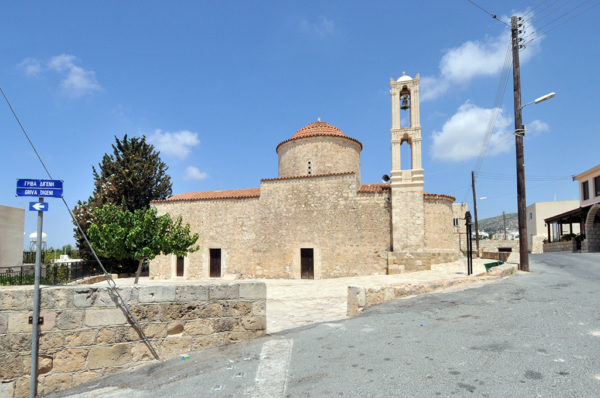 An important mediaeval monument of the village is the church of Agia Ekaterini (St. Catherine) of the 15th/16th century. 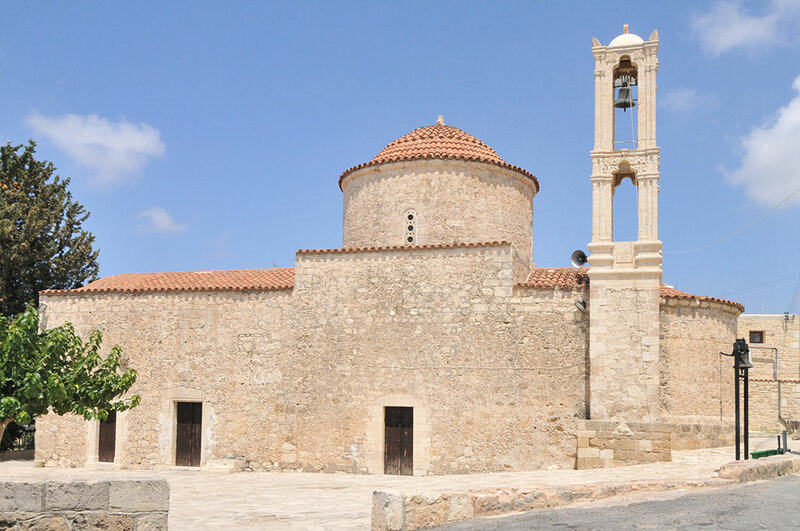 The famous Agios Neofytos monastery is also very close to the village and certainly had a significant influence on some aspects of village life. Saint Agios Neofytos when he returned from Palestine he brought with him a rare tree, the Kapnismata (Liquidambar Styraciflua) literally translated as ‘smoke’ or ‘incense’, it grows to a height of 10m and it excretes a resin that can be burned as an incense (as opposed to frankincense). 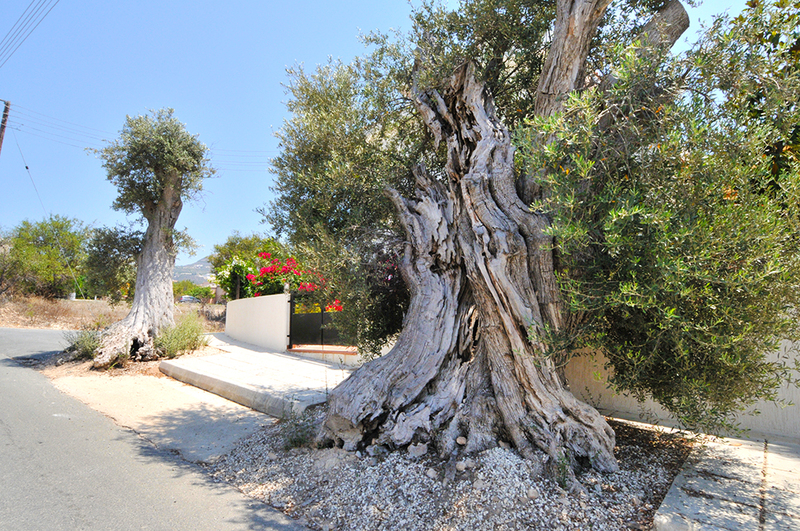 Surprisingly, the tree cannot be successfully grown anywhere on this island except in the Stephanou region of Tala. 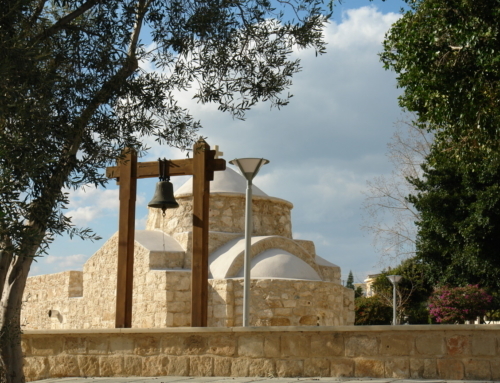 The Church of Agia Ekateriny is of the single-aisle type structure with a dome. 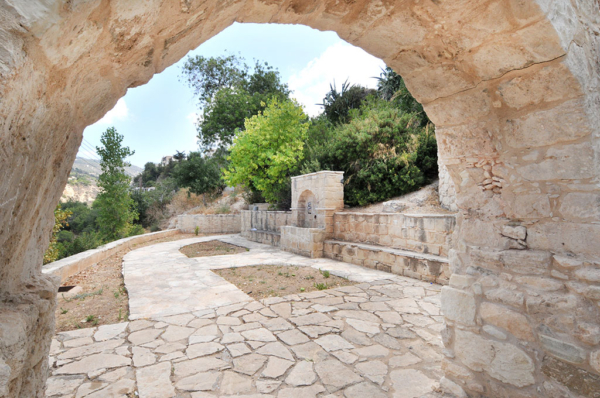 Its external measurements are 18.70m X 8.05m without the apse. Today’s church is the result of an expansion and a retrofit of an older church that was arch-covered and had a lesser length, a part of which is embodied in the west arch of the church. To make the retrofit of the initial church, the apse and a part of the north and south walls were demolished and the single aisle with the dome was added. A segment of the original church measuring 8.05m X 8.70m is extant. In the centre of the west wall stands the original gate, while the south gate of the initial church was walled up and two new ones were opened in the south wall, one in the west and the other in the east of the initial entrance. The church has a small, rectangular window in the north wall and a narrow gap for illumination in the semi-circular apse. There also are four small windows in the dome. The dome is relatively large, while the south and north arcs -that along with the arches support the dome internally -do not appear externally either as semi-circles or pediments as usual. Instead they end in a straight segment that rises as the Greek capital letter Π (P) in the south and north wall. 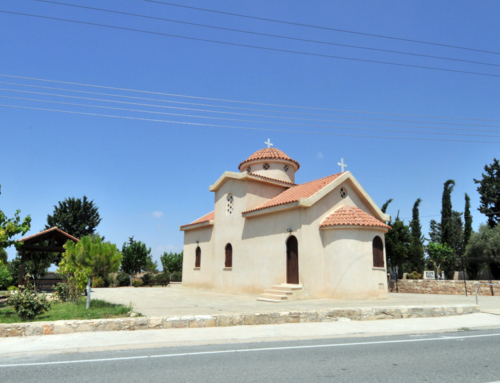 The country church of Agios Georgios (St. George) is found in the Stefane region, which according to various available sources is the old village of Stefanos that existed in the area. The existence of this village is apparent in the 1573 mapping of Cyprus. At the ruins of the country church it is shown that another church, dedicated to Agios Stefanos (St. Stephen), existed formerly. 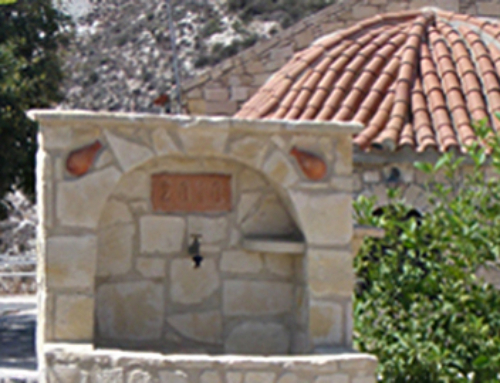 The church was re-erected in 1990 by the Holly Monastery of Agios Neofytos with the help of donations from the inhabitants of the community, both local and foreign. The country church of Agioi Saranta was in ruins until 1994. 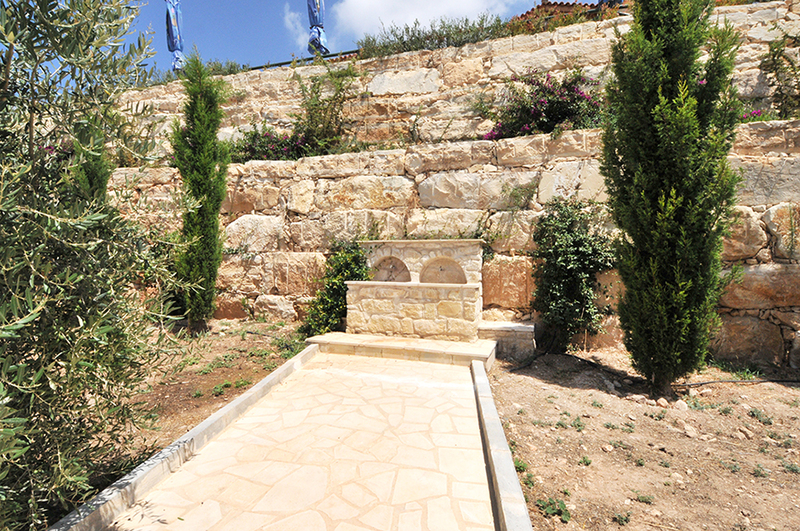 It was re-erected with expenses paid by the Holly See of Paphos and through donations of the region’s inhabitants. Christenings take place in the on the Saints’ day of Agioi Saranta.. 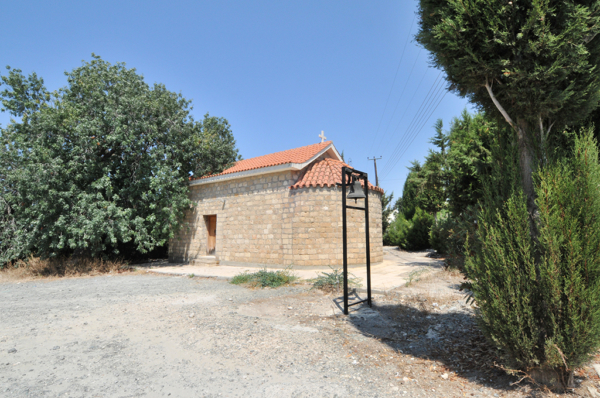 It is the most recent ‘village’ church that was built after donation by the rincess Zena Kanther Detira who is a native of Tala and has made many donations throughout all of Cyprus. Today the church is being renovated by the inhabitants of the community. A liturgy takes place on the 17th of July, which is the day of St. Marina.